Children under 3 get in free at CN Tower!  CN Tower coupon: get 15% off a general admission ticket with this printable coupon! A new printable coupon has been released for the CN Tower! Pay only $10 for admission when you go after 8pm! Print this coupon before you head there! Coupon runs till Oct. 15th! Travel over half a kilometre high to view the skyline of Toronto, Canada like nowhere else at the CN Tower. Find a discount right here to save on admission.